Ahahaha. Yeah, it’s almost here. Freaking out. Hello! And welcome to the first comic for NaNoWriMo 2013! It’s been a hectic week for me because my geek band released our EP ALSO today. Good grief. You’d think I wouldn’t schedule these things all at the same time. Oh well! Fortunately, I have Victoria helping me edit them, so at least the spelling and grammar should be correct! 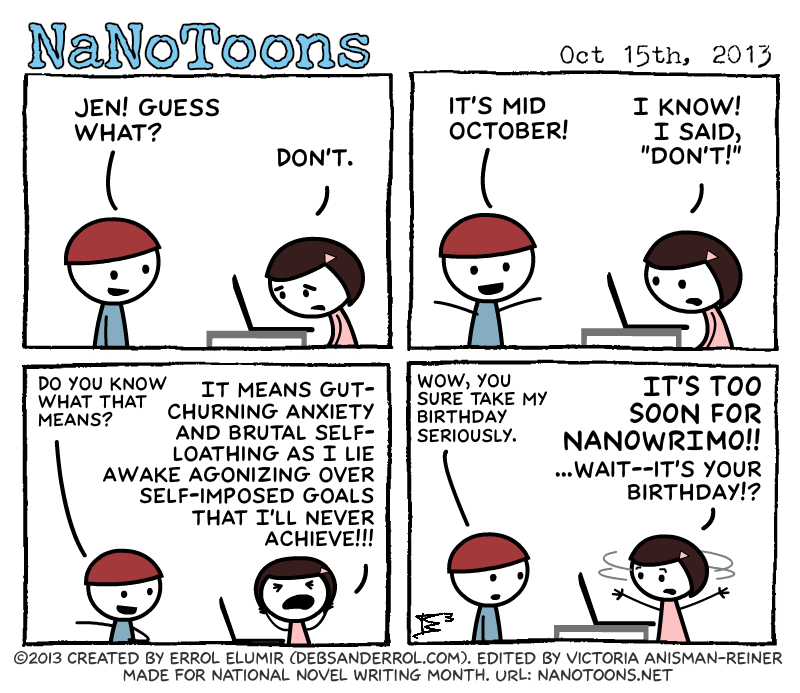 I am crazy excited for Nano this year, and I’ve got most of October’s comics done. Now… to finish off November’s!